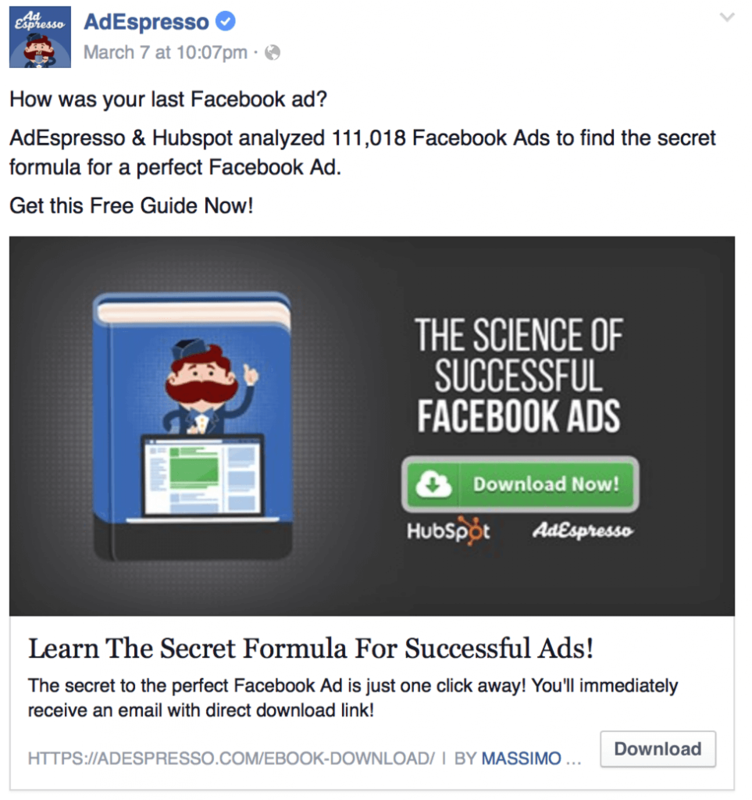 As Neil Patel observantly points out: Facebook is one of today’s most neglected forms of advertising among businesses today. Many business owners feel like Facebook is “so yesterday” or that other social media platforms are overpowering Facebook in today’s ever-growing social media world. To that, we only ask one question: Why is Facebook’s revenue still growing faster than any other advertisement form on the internet today? Facebook happens to be one of the leading advertising giants with access to millions of active users. Businesses seeking to increase their web traffic and sales should not be quick to ignore this advertising platform. These generally come in the form of either a Desktop or Right-Column ad. 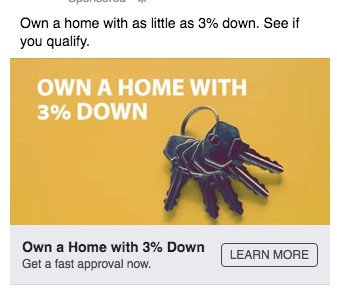 These ads utilize a single picture with a description or caption written above it to capture the attention of the audiences and get them to click on a link to your website (which drives traffic on your page). Domain Ads are the most commonly-used ads on Facebook. Domain ads send leads directly to your website. You’ll need a strong landing page and a good call to action to ensure good conversions. Make sure your ad matches the website content you link. These ads were rolled out in 2015 and are designed to have your most clicked on image be the first image that appears in these ads. Following it will be a wide range of other pictures that showcase products or services that your company has for sale. Showing users a “slideshow” of what your business has to can help draw in customers who are interested in products that you have to offer. The more images that get shown, the more likely that viewers are to find something that piques their interest (and the more likely they are to click on your ad). Carousel ads can contain products or can be used as an image gallery. If you have lots of products, you may be interested in dynamic ads which allow you to upload multiple products dynamically (scroll down for more info). 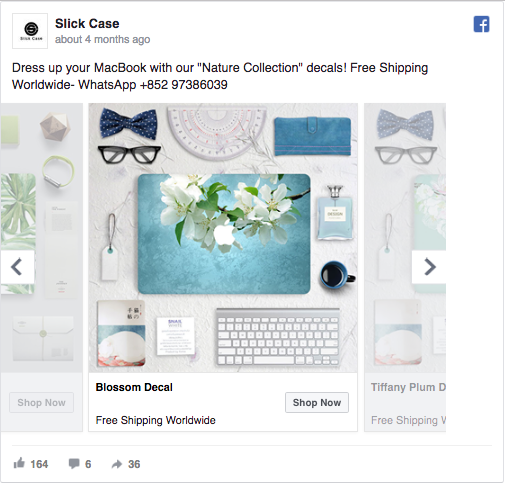 Offer ads are a quick and useful tool that can help target users who are already familiar with your brand and what you have to offer. These ads allow users to click to get either a discount code to use on your company’s products/services or a bar-code they can apply for a discount if you have a “pop-up shop” location (or in-store only). 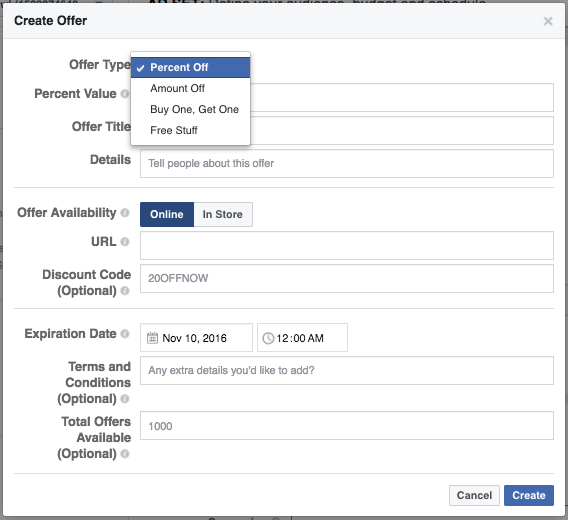 Setting up an offer ad on Facebook’s advertising admin interface. Offer ads look just like other types of ads, but are controlled by the parameters you see in the previous screenshot. 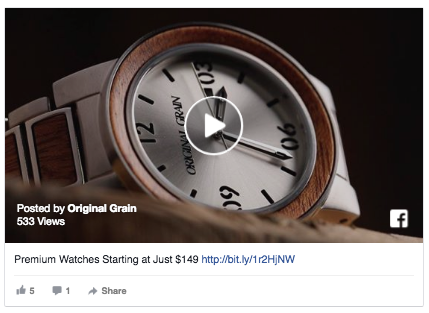 Video ads are great for both brand awareness and retargeting. Users who watch your videos are getting retargeted with further ads throughout the entire time they are watching the video. Even basic videos that get produced on a budget can affect the viewers. 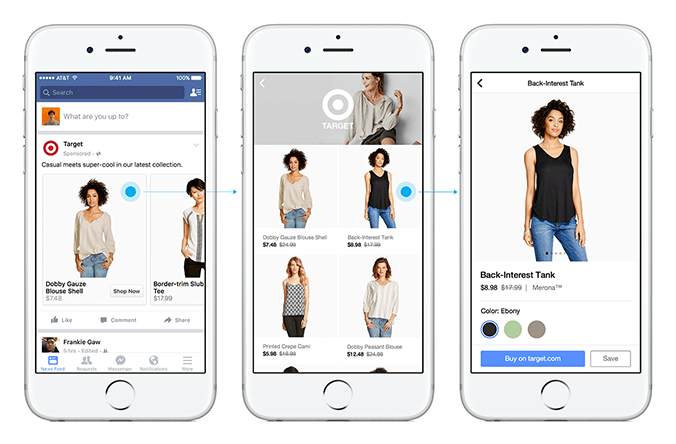 Lead ads allow you to collect information on your users without ever requiring them to leave Facebook to provide that information. 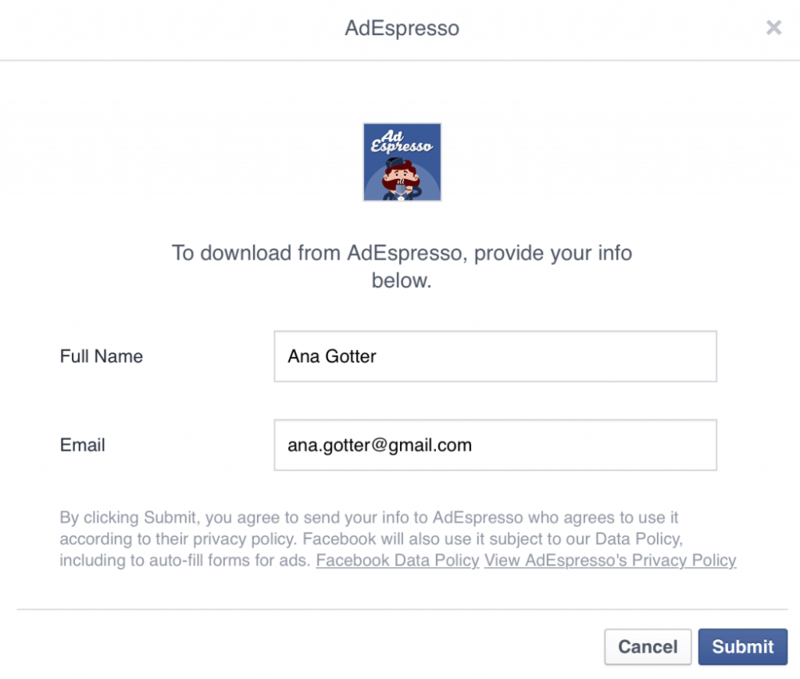 Facebook can also automatically fill in user information for the person. This information can include anything from someone’s name to their email or address or phone number. When Facebook fills this information in for them, the user gets saved the inconvenience of having to put it in themselves. Lead ads look like many other types of ads; however, the CTA on these ads opens a lead generation form that can pre-fill the user’s information. 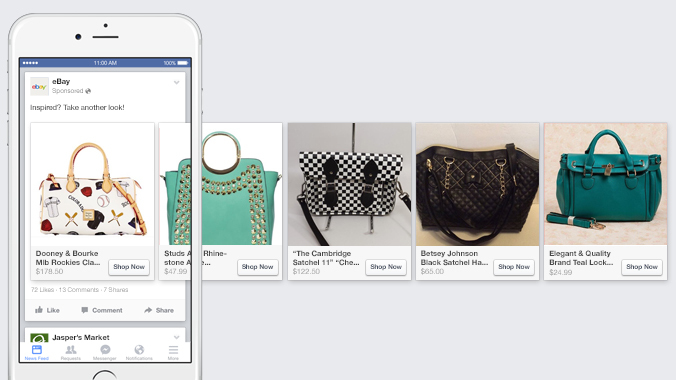 These ads do not drive the user away from Facebook and encourage a higher response rate. While fields like name and email can be auto-filled, you may also ad custom questions to the lead generation form. This allows you to more effectively qualify leads. Canvas Ads are those that are interactive. These include ads that use features like 3D Images. Allowing users to interact with the ad gives them an experience that helps them remember your product in the future. These highly interactive ads enable users to interact with your content directly from the ad. Dynamic Ads are a great way to show either single or multi-product ads. Based on your website visitors’ habits and behaviors you can determine which ads work best and will target your audience the best. 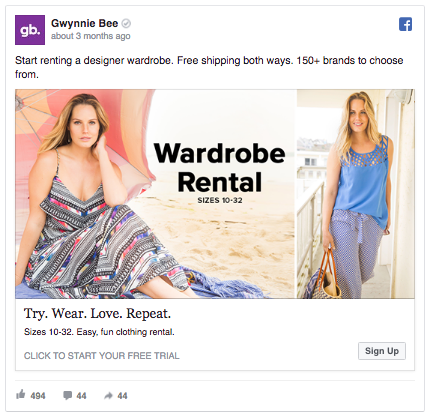 Dynamic ads may look a lot like carousel ads or single image ads, but they are unique in that they use your website visitors’ behavior to display the most relevant content. This is a great choice for advertisers with lots of products and the product upload and templating capabilities will save you hundreds of setup hours. Branded content is content that uses a “with” tag to mention a company name. Essentially, these companies are teaming up with other brands to drive ecommerce sales of products and services. Similar products that “influence” each other come together to drive up sales for both brands and increase business by reaching the same viewership at the same time. 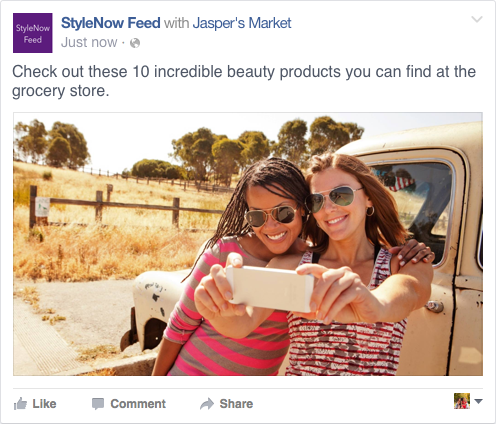 Teaming up with another business can be a great way to use influence in your Facebook ads. Whether it’s a popular restaurant, corporation or public figure, you can increase engagement by using co-branding in your ad. 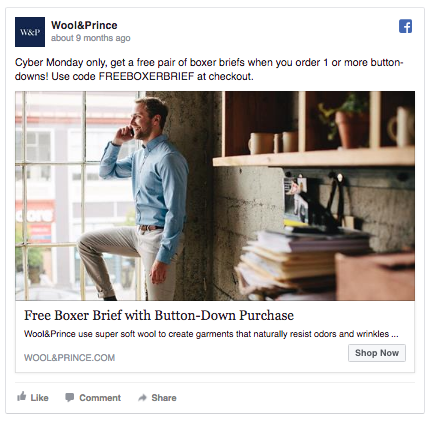 These are 8 of the most common types of ads on Facebook today and how they bring more leads to your business. Each lead you recruit helps give your company another opportunity to make sales and increase revenue. Per dollar invested, Facebook has one of the highest returns on dollars spent on advertising Facebook as a platform, which means that you do not want to overlook Facebook as a key way to advertise your products, goods, and services to the more than 2 billion people who use Facebook on a regular basis.